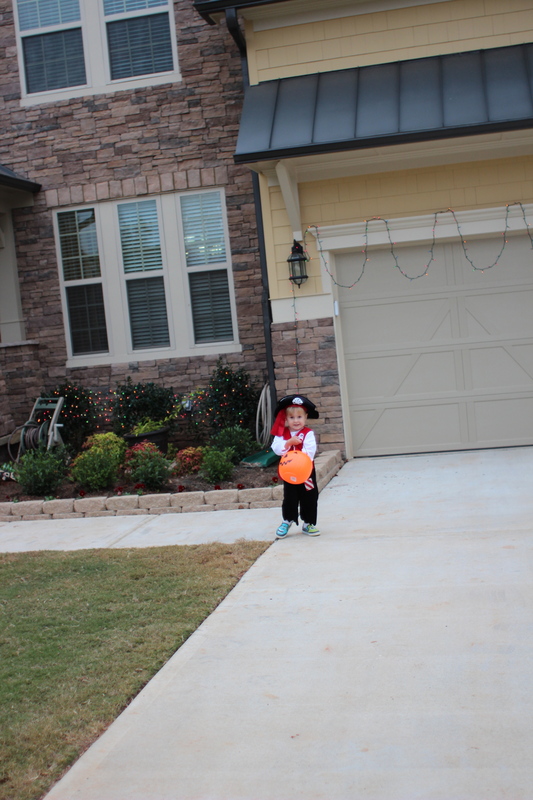 This was not only Sienna’s first Halloween this year, but also our first in our new home and with our new neighbors. 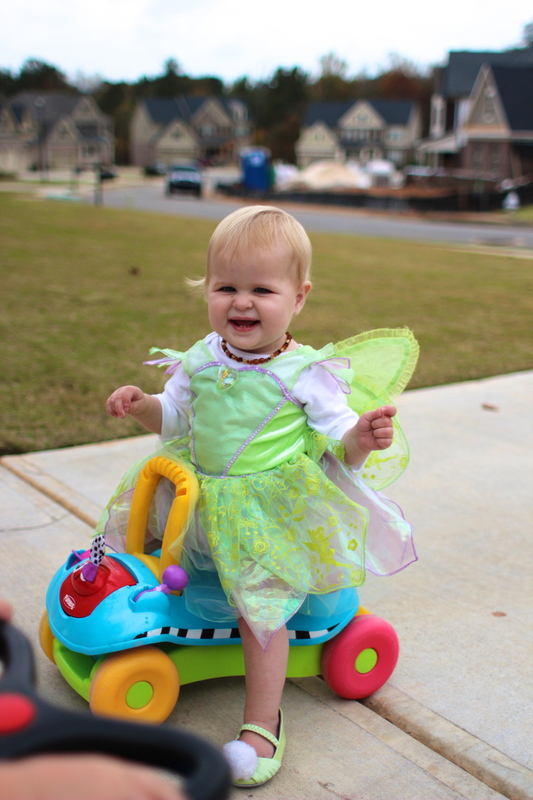 Last year, we dropped the boys off at our friends the Herty’s house and we were off to the hospital to have Sienna, so we missed out on a lot of spooky fun last year. 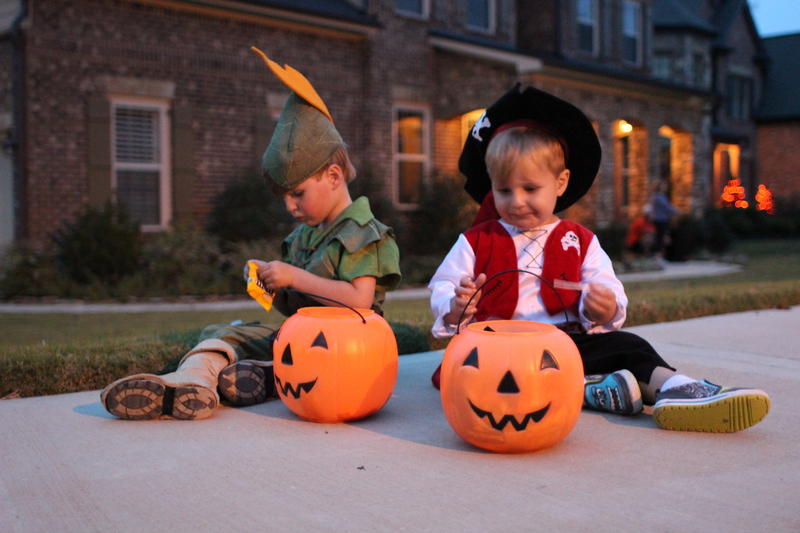 So this year, we were looking forward to enjoying time with our family and new neighbors as we celebrated Halloween! 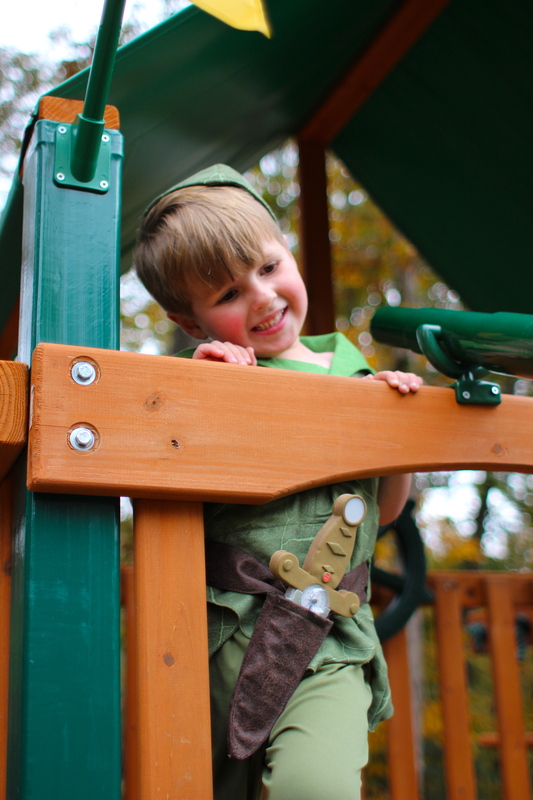 Parker was starting to get into Peter Pan, and after watching the movie, I planted the seed that I thought it would be fun to be Peter pan. 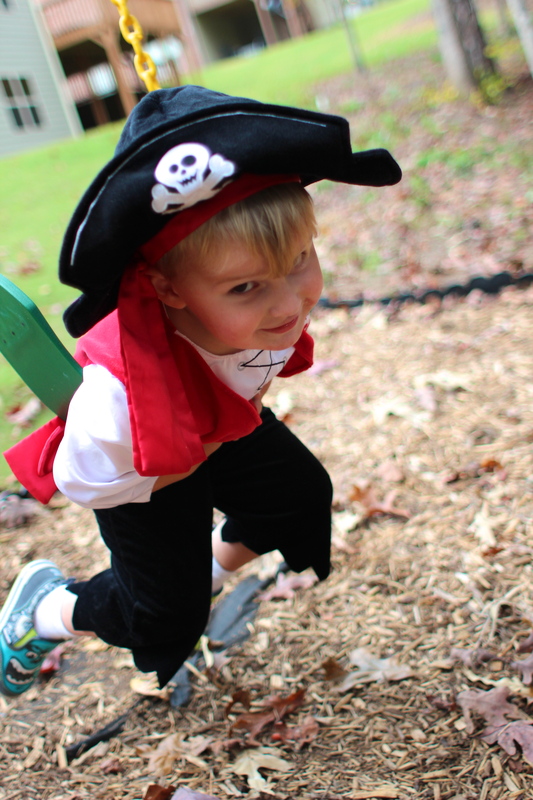 I had already found a “pirate” costume for Mason on discount at the consignment sale that would be suitable for Captain Hook, so a Peter Pan theme, I thought would work out nice. 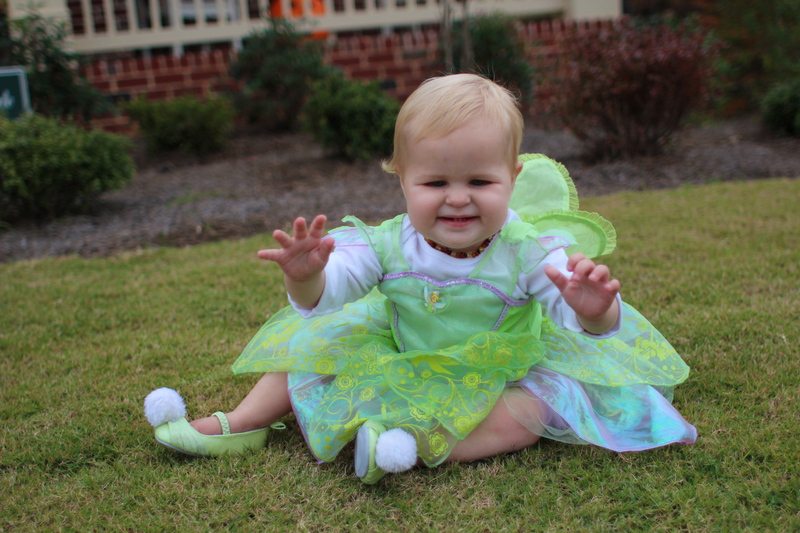 It would also allow me to do something fun and girlie with Sienna, dressing her up as tinker bell. 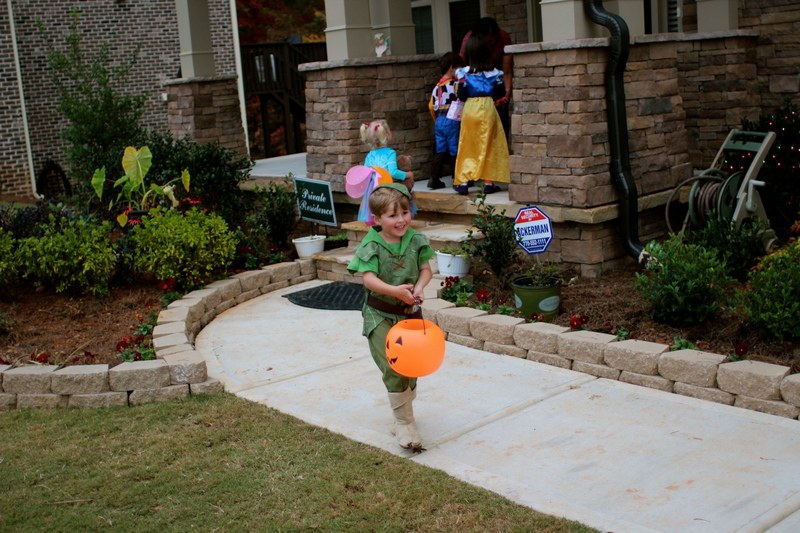 Our neighborhood had a Halloween party the weekend before Halloween, but it was really chilly and a bit of a bust. 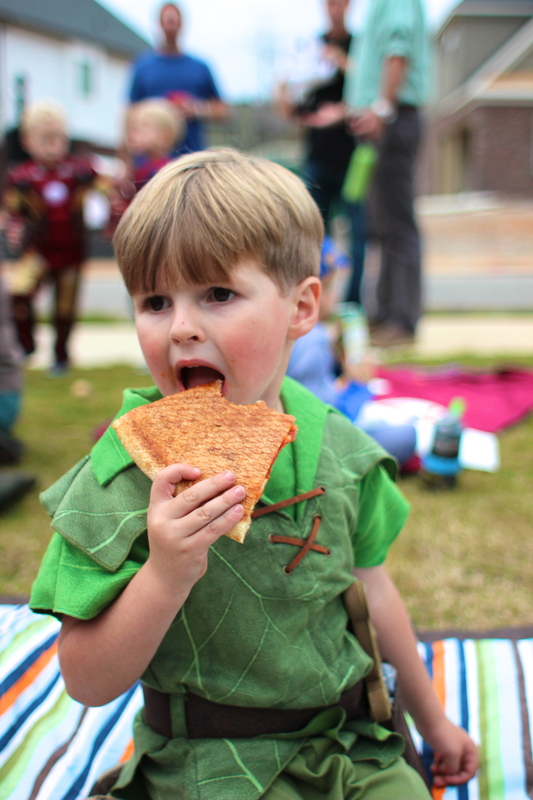 On Halloween day, several neighbors chipped in for pizza, and we had a huge picnic prior to trick-or treat fun! 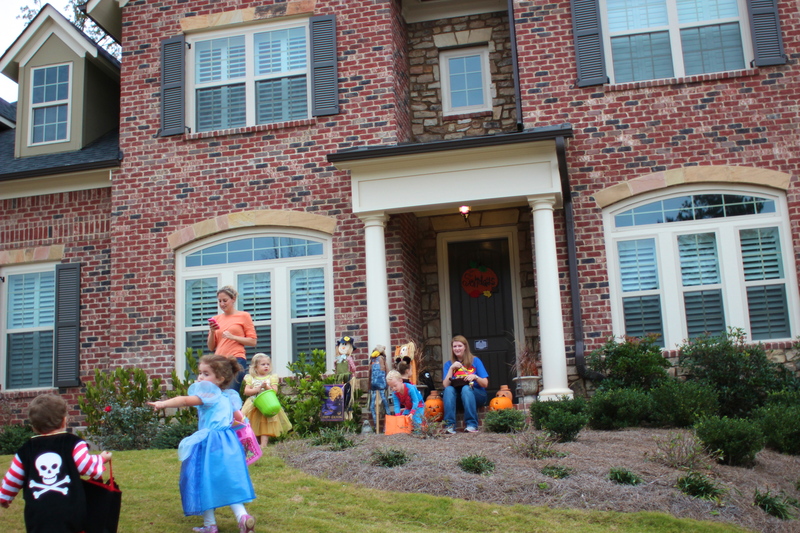 It was beautiful weather, and the kids had a blast. 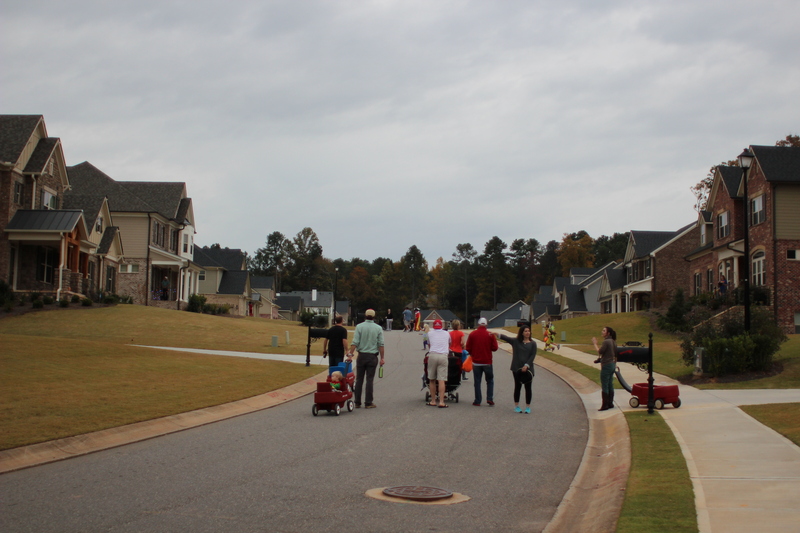 We just love our neighborhood, and we have loved getting to know the families here. 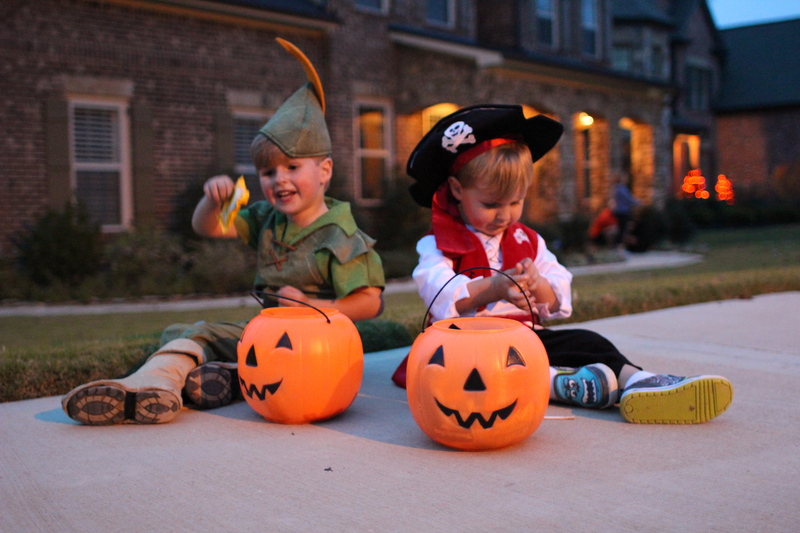 Unfortunately, Dan was a little under the weather on Halloween, so he wasn’t able to partake in the festivities as much, but was happy to hand out candy at home with Sienna. 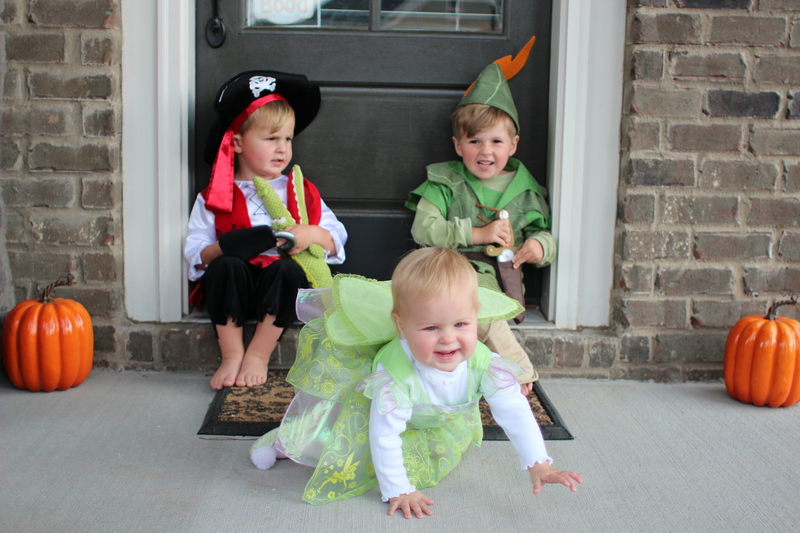 So, they did that, and I made the rounds with the boys. 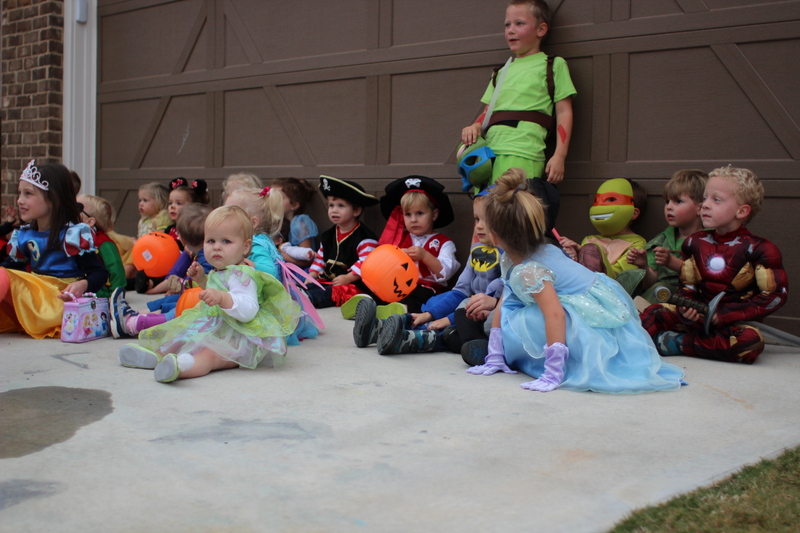 Unfortunately, I didn’t anticipate Parker running with the big leagues, and Mason walking slowly, eating pieces of candy along the way. 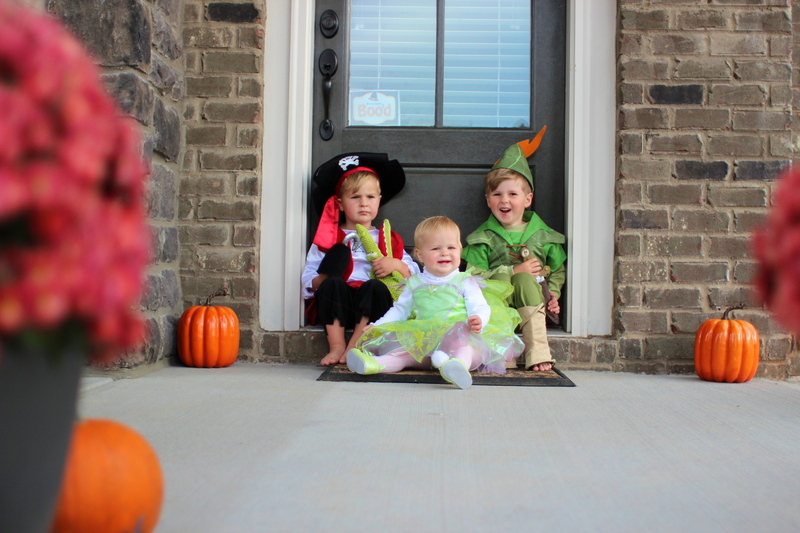 So, I had to pull double Mom duty, trying to get Mason to hurry up, not eat candy, and move his feet, while simultaneously asking Parker to slow down and wait for his brother in order to keep an eye on both of them. 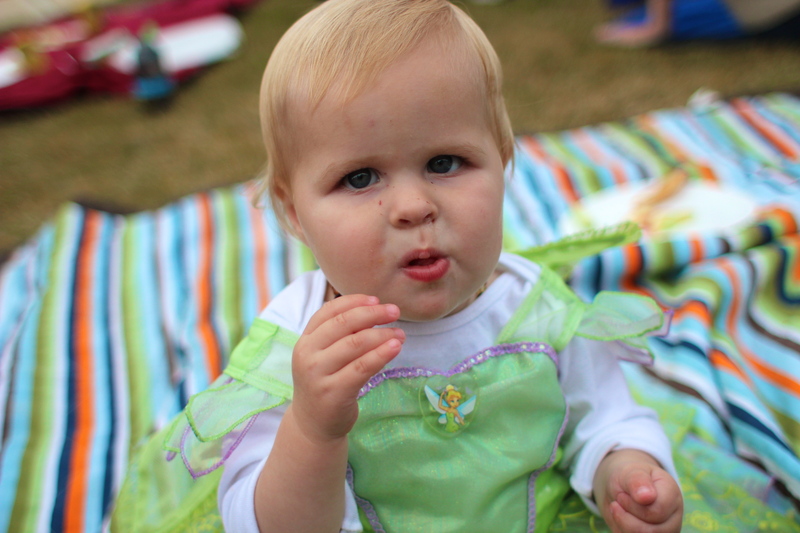 It was small potatoes compared to the fun that they had. 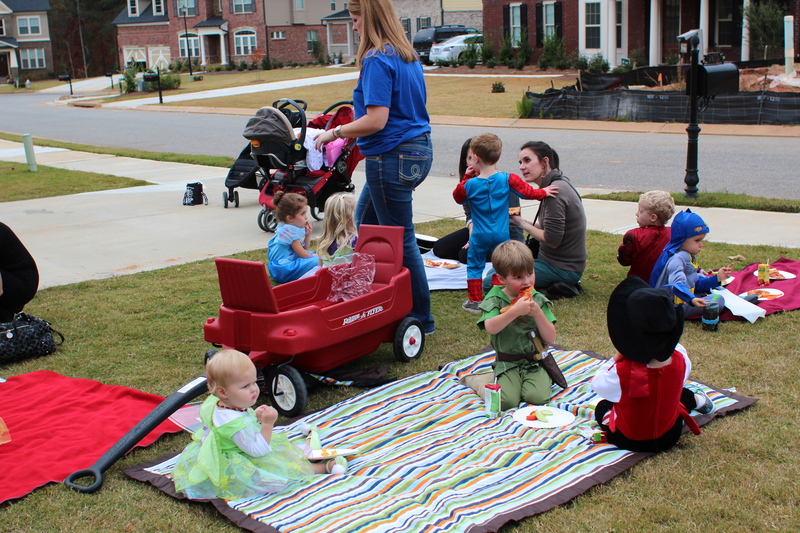 I look forward to many years of fun in Copper Creek as the kiddos get older!